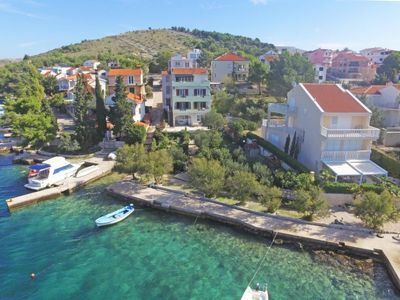 Apartment type: A5 plavi. 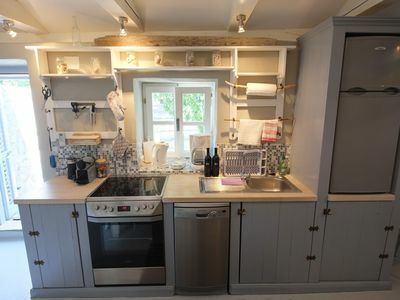 5 bed/s for adults. Number of extra beds 1. Apartment capacity (adults): (5+1). Category of apartment is 3 stars. Apartment size is 55 m2. The apartment is on the second floor. Access for the disabled is not enabled. Number of bedrooms in the apartment: 2. Number of bathrooms in the apartment: 1. Number of balconies in the apartment: 1. Flooring: carpet. In the bedroom is french bed. Bedding is available to guests., The room has an exit to the balcony. Flooring: carpet. In the bedroom is three single beds. Bedding is available to guests. 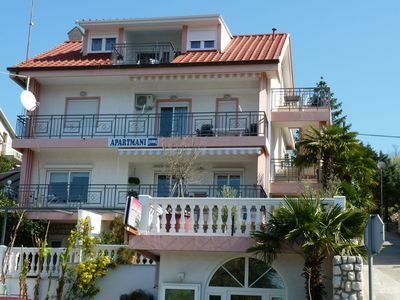 air conditioning in the living rooms with surcharge, TV set, SAT-TV, radio, couch/sofa, the apartment is soundproof, smoking not allowed inside the apartment . Bathroom size is: 4,50 m2. Equipment in the bathroom: shower cubicle, toilet, tiles, bath towels. 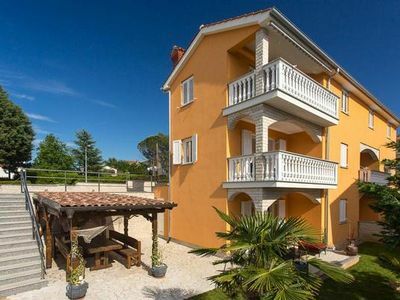 Size of balcony/teracce of the apartment is 18 m2. Features and equipment of the balcony/terrace seating set, partly covered, orientation sea side, partly sea view. 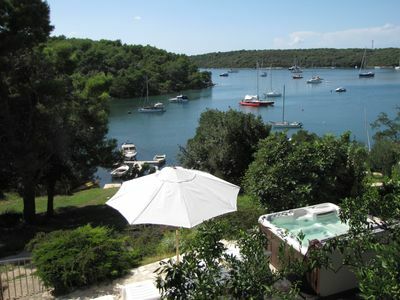 Directly on the sea, fantastic view, near Pula, garden and whirlpool.